Let’s make things short now, shall we? You have a pool and you want that pool heated up every now and then so you can enjoy the pool a bit more often all year round. Now that you’ve identified your problem, your solution now comes in the form of a pool heater. But, that creates another problem, one where you have to pick out what type of pool heater you’re getting before you actually choose the exact product you’re buying. As a start, you may want to consider getting yourself an electric pool heater. Why an electric pool heater, you may ask? There are a bunch of other types of pool heaters out there, such as solar-powered ones, or ones who rely on natural gas, so why electric pool heaters? Well, to start, they rely on electricity to move heat from the air to your pool, so that should mean that they’re not that much of a hassle to set up. They’re also known to be quite effective and are usually much less expensive to set up, as well as less of a hassle to install, compared to other types of pool heaters, like let’s say, solar pool heaters. More importantly, electric pool heaters heat pools very quickly, which is great for those who want to use their pools in the middle of the night and those who don’t really use their pools regularly. Given that, you should definitely want to get yourself an electric pool heater and to help you with that, here are three of the best electric pool heaters you can find in the market today! This product offering from Hayward boasts a compact design that should make it easy for it to fit into tight space. Though, don’t be fooled by its size, this electric pool heater may be small, but it’s perfectly capable of heating up more than just spas. Unfortunately, however, its size does put certain limitations to it, namely when it comes to pools upwards of 5,000 gallons or so. The pool heater just won’t cut it for such pools, but for anything smaller, it should be more than enough. Another good thing about this unit is that if you know your way around electronics and wiring, you can install this yourself and it should work fine. Plenty of customer reviews over at Amazon are pleased about how easy this electric pool heater is to install and that usually means that it’s also quite easy to service should any problems arise. This electric pool heater is an absolute steal for the value. Unlike the previous product on this list, this one may come off as a bit generic, but don’t worry, it’s effective. It’s a product of the Fibropool company, with the model number FH-55. Also, if customer reviews are to go by, this unit is surprisingly effective. The unit runs on 220v, consumes as much electricity as a typical table saw and is large enough to heat pools of up to 10,000 gallons, or ones as large as 21 feet in diameter. It’s also quite fairly easy to install, so good news for DIY lovers out there. 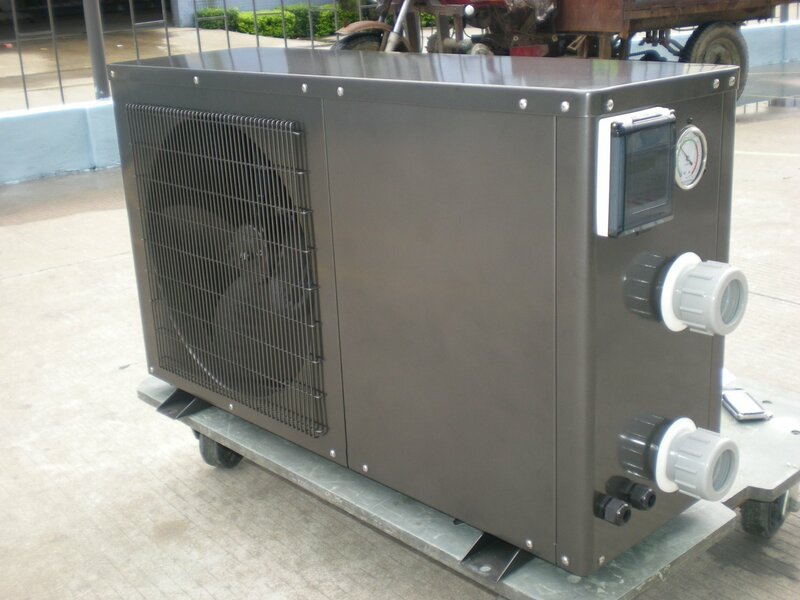 The unit may be a more expensive option compared to others but it is one of the most efficient at heating your pool. 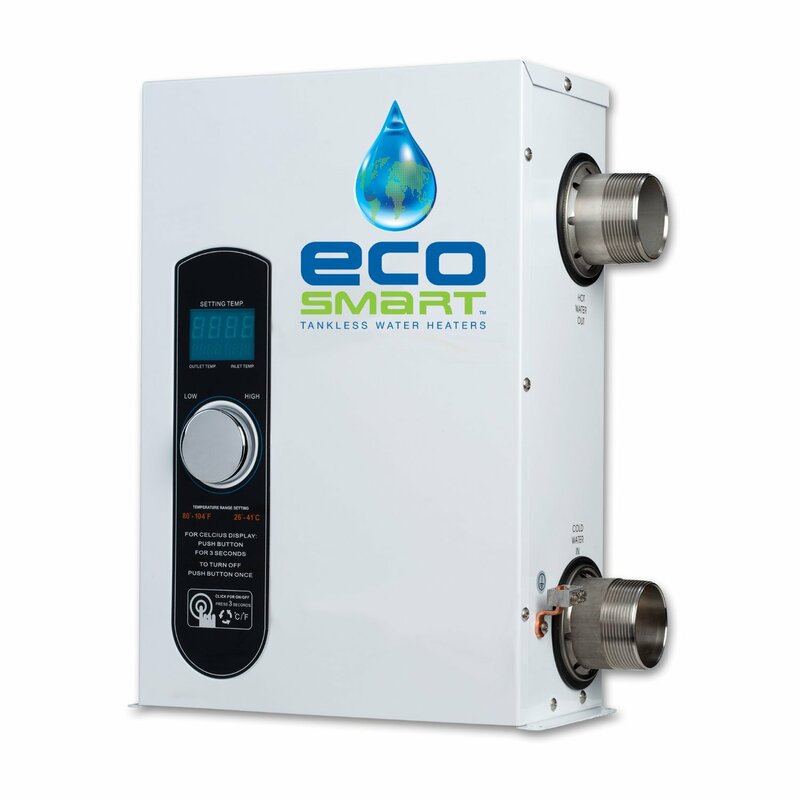 Utilizing the latest in flow sensor technology, this unit reduces the risk of burns, making it more reliable and last longer. It also comes with a digital thermostat, making it easier to set the temperature that you want. As far as electric pool heaters go, the unit is what it is. It’s small and it’s easy to install. It’s also something that you can use as an alternative or even a booster to heat hump that’s already installed in your pool. Customer reviews are also fairly positive, both for the product itself and for its manufacturer. Though, if you plan on buying this pool heater, be careful as some have had fairly shocking increases to their electricity bills once they started using this product. 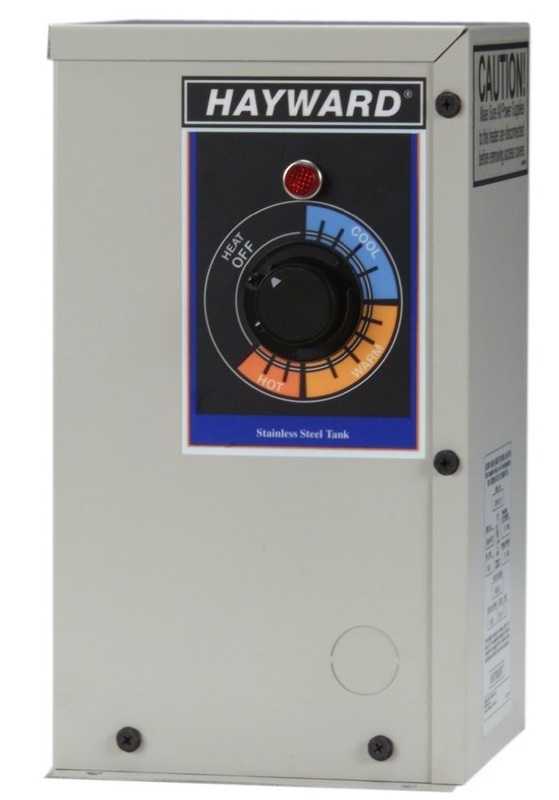 This unit is in the mid price range compared to other electric pool heaters on the market. It’s a product worth considering if the other two on this list don’t match your taste or preferences. A recurring theme when it comes to electric pool heaters is that they consume a lot of electricity and they’ll definitely take their toll on your monthly bill. But, given their safety and the increased focus on efficiency today, manufacturers have managed to cut down on how much electricity these pool heaters use to do their job. Of the three above, you can never go wrong with any one of them, despite their individual flaws. Just be sure that you take your time when choosing so you don’t end up installing a pool heater that’s too small for your pool. If you’re not sure whether or not an electric pool heater is right for you, read this article to find the right pool heater.